This is not a boring poster! “Make App & Web Connection! This is not a boring poster!”. Diseño de cartel e identidad urbana para la app y web de cultura de la localidad de Benicàssim. Con este proyecto se pretende fomentar la utilización de los nuevos soportes virtuales que Benicassim pone a disposición de sus ciudadanos con la finalidad de facilitarles la búsqueda de toda aquella información relacionada con los actos, eventos, espectáculos, etc. que éste lleva a cabo durante todo el año. “Make App & Web Connection! This is not a boring poster!”. 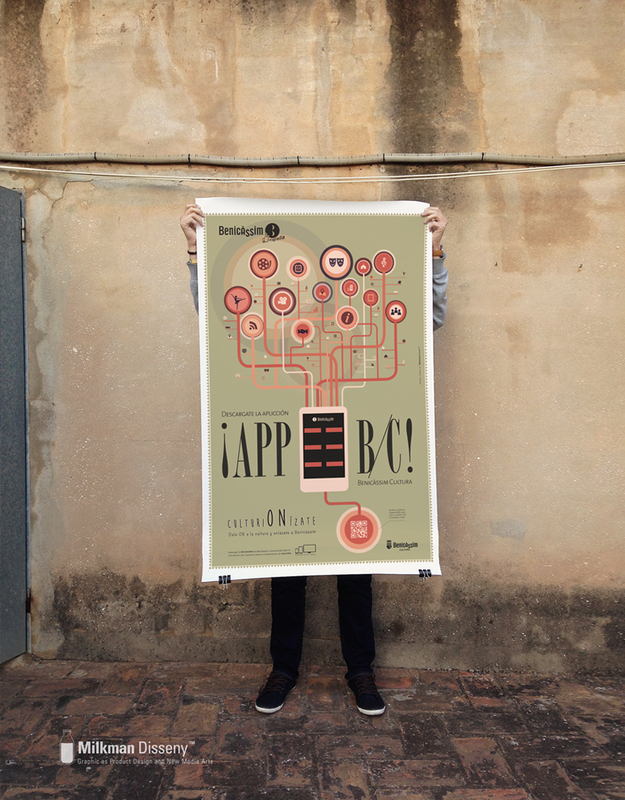 A poster design and urban identity for mobile and Benicàssim web applications. With this project Benicassim want new types of medias and the new tecnologies aplications used by the citizens and make people informed about all the information such as acts, events, performances … Throughout the year. Not all begins here! ... But it helps !! All these pixel colors appear in your world! Watch and enjoy our work. Your future, your life, your mind! our project! See our work on Facebook, Behance, Pinterest or Twitter too.